Rare indeed is the artist with the virtuosity to draw the unqualified respect of some of the most iconic legends in jazz and the ability to deliver a high-energy funk rock show capable of mesmerizing international rock stars. Troy “Trombone Shorty” Andrews is one such artist – and there is no one else like him. Trombone Shorty is equally adept on trombone and trumpet and is a man to be reckoned with on both. A product of New Orleans’ culturally rich Treme neighborhood, Trombone Shorty was a bandleader by the age of six. While navigating New Orleans with his band in tow, he was also absorbing lessons from his older brother James, a dynamic musical performer known as “Satchmo of the Ghetto.” By the time Trombone Shorty was twelve, he had a Ph.D. in the ways of the streets, which you can still hear in his music. Shorty has attracted many such legends to his high-profile fanbase, and the diverse and notable names he has performed and soloed with include Norah Jones at Jazzfest 2007, Diana Krall at Madison Square Garden in 2005, and chart-topping rapper Juvenile at VoodooFest 2008. In 2009, New Orleans’ premier music magazine, Offbeat, awarded Trombone Shorty & Orleans Avenue Best R&B/Funk Band for the second year in a row. Trombone Shorty himself picked up an award for Best Trumpet and he has been named Performer of The Year twice. His success – and his promise – has been recognized by the New Orleans Jazz & Heritage Festival on one of the Fest’s two annual official posters. He is the youngest artist to be featured on the poster by 18 years – the next youngest was Wynton Marsalis, who was featured at age 41. The four years leading up to being tapped for the Jazzfest poster saw Trombone Shorty’s profile grow virtually month-by-month. In 2005, he was tapped by Lenny Kravitz to be a featured member of his horn section for the 63-date Electric Church world tour that in North America supported Aerosmith’s Rockin’ the Joint tour. In London in 2006, Trombone Shorty worked with producer Bob Ezrin and U2 at Abbey Road Studios. This association led to Trombone Shorty performing with U2 and Green Day during the New Orleans Superdome’s post-Katrina re-opening spectacular during Monday Night Football. The show aired live on ESPN and was also broadcast internationally by Westwood One. 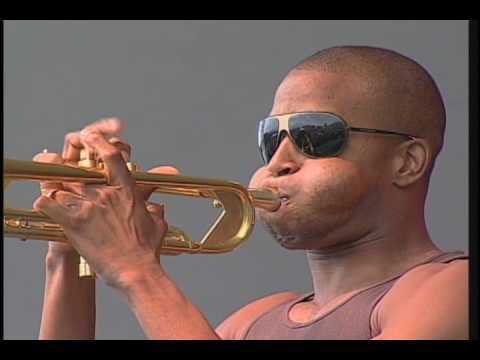 Also in 2006, Trombone Shorty made his acting debut on the NBC television series Studio 60 on the Sunset Strip. Leading a group of New Orleans musicians, his haunting trumpet performance of the holiday classic “O Holy Night” drew such an enthusiastic response from viewers that NBC released the single for free download on the NBC.com home page. 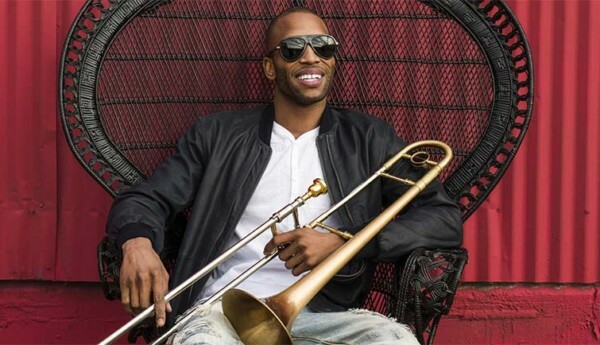 Trombone Shorty has been profiled by Good Morning America and USA Today and was featured on “Whole Lotta Loving,” a collaboration with Lenny Kravitz for the 2007 album Goin’ Home: A Tribute to Fats Domino. When the 2008 NBA All-Star game was played in New Orleans, he was tapped to play on court during player introductions, along with Harry Connick Jr., Kermit Ruffins, and Branford Marsalis. The here and now finds Trombone Shorty a fully developed performer bursting into the international consciousness. It’s always a challenge to find an appropriate label for artists who make something uniquely their own from a variety of influences. 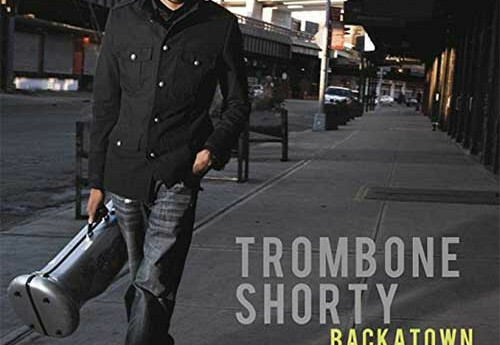 In the case of Trombone Shorty and Orleans Avenue, the band created its own tagline for its high-octane music: SupaFunkRock. The group’s performances have been known to run for hours at an energy level that few others could sustain for a much shorter performance. The seeds for Orleans Avenue were sown at New Orleans Center for the Creative Arts, and the group has since evolved into a seven-piece touring phenomenon. With Mike Ballard on bass, Pete Murano on guitar, Joey Peebles on drums, Dwayne Williams on percussion, Dan Oestreicher on baritone sax, and Clarence Slaughter on tenor sax, their performances transcend the boundaries of generation and classification. 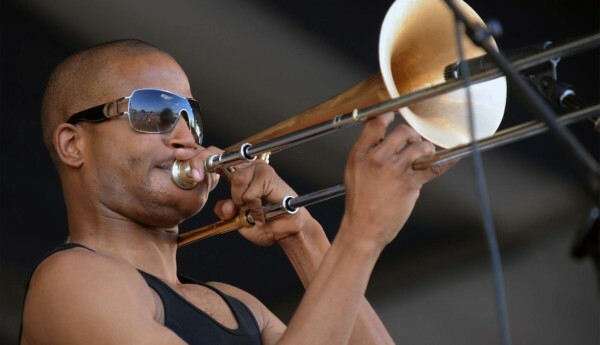 Trombone Shorty and Orleans Avenue have been drawing ever-growing crowds based largely on word of mouth excitement about their knockout shows, night after night. Making the most of limited time off, they are currently recording new songs that capture the band’s rare combination of virtuosity and high-energy party intensity – the next accomplishment to watch for in the career of this unparalleled young artist.